This film explores the rich musical heritage of the region’s French-speaking people who have shared tunes, borrowed instruments, and danced in each other’s arms for generations. In private moments and in packed dance halls, some of the region’s most beloved musicians reveal the passion they share for making music and carrying on family traditions. 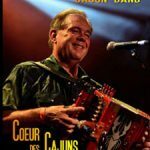 With roots reaching all the way back to Africa, Europe, and French Canada over the past three centuries, the solid trunk of Louisiana’s Creole and Cajun music has flourished into a family tree with intertwined branches. 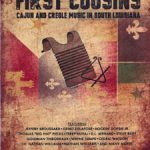 A little too distant for siblings, these communities and their music are surely related enough to be considered first cousins! Directed by Drs. Moriah Istre & Elista Istre. 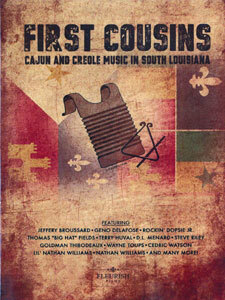 Featured artists are Jeffery Broussard, Geno Delafose, Rockin Dopsie Jr., Thomas “Big Hat” Fields, Terry Huval, D.L. Menard, Steve Riley, Goldman Thibodeaux, Wayne Toups, Cedric Watson, Lil’ Nathan Williams, Nathan Williams & many more!